How can you increase the recycling of your flexible packaging? Would a demand for recycled-content material in new flexible packages help? Jeff Wooster, global sustainability director at The Dow Chemical Co., weighs in on the idea. 1. Creative Designs—to make more flexible packages easily recyclable. 2. Increased Collection— to get more materials back into the system. 3. Better Sorting—to allow separation at scale. 4. More End Uses—to maximize the value of collected materials. 5. New Technologies—for mechanical and feedstock recycling. For other types of packaging end-of-life scenarios, though, the use of recycled-content material helps fuel the market for recyclables—polyethylene terephthalate (PET) bottles, for example. Is this a missing piece in the flexible packaging recycling puzzle? Let’s find out what one packaging recycling expert thinks. Jeff, at one point during your presentation, you said “We’re not going to make flexible packaging back into flexible packaging.” Why not? Wooster: For food packaging…We’re not going to be able to recycle flexible food packaging back into new flexible food packaging because of the [Food and Drug Administration] FDA requirements for purity and cleanliness and all the other things that are required for direct food contact compliance. But we can make flexible food packaging into other products. We could, for example, take flexible packaging and make it into something like a heavy-duty shipping sack for fertilizer or lawn-and-garden use. So it can be made into new packaging applications, even flexible packaging, just not for direct food contact. For food, and pharmaceuticals, and certain delicate consumer electronics that have high purity requirements, most likely we won’t use recycled content for those applications in the short-term because of the difficulty assuring that recycled materials are completely suitable for use with food. For PET bottles by comparison…PET bottles can be recycled into PET bottles used for food and beverage applications. That’s compliant. The FDA has said that the process is fine, that it’s safe for consumers, and because of the way PET is recycled, it’s easier to assure safety and compliance. There is also a limited amount of high-density polyethylene in the marketplace that’s available for use in food packaging for things like bottles for juice. But it’s only one or two suppliers that have availability of the material that have received the FDA “no objection” letter, which says they don’t see any problem with this. The FDA doesn’t technically give their approval. What they say is they don’t object to it based on the scientific evidence submitted for their review. But for packaging food in flexibles, there are few of the right kinds of materials available that typically need to be used in those packages that also have FDA compliance. That’s why that particular application is not going to be in play, probably for in the near future. I wouldn’t say it’s impossible in the long term, but in the near future, recycled content plastics will not be used for flexible food packaging. Do you see an increase in the near future, though, in the use of recycled content in other types of flexible packages, for non-food applications? 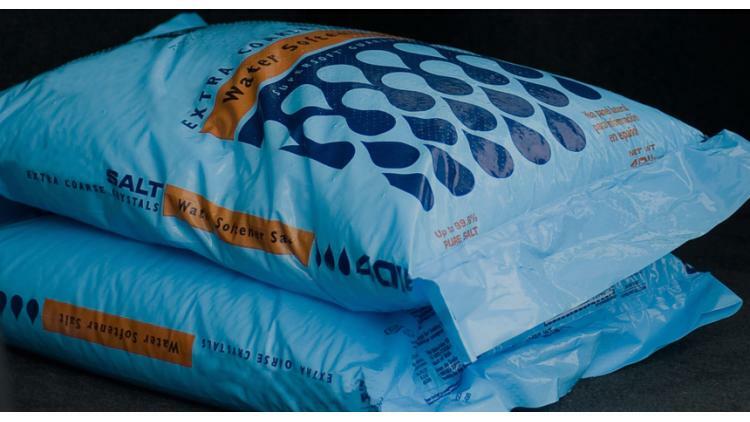 Wooster: I do expect to see an increase in the use of recycled content in things like heavy-duty shipping sacks, bags for lawn-and-garden, for fertilizer, even resin bags and in lots of other applications as well. There are some applications where recycled content may currently be used in a small amount, and I expect more would be used there. However, the types of materials that feed into those applications are going to depend on the performance requirements of the individual application and the particular materials that are used. If you’re making an all-polyethylene bag, most likely you would only put polyethylene, or compatible materials, into that application. For example, you might recycle a bread bag and put it into a heavy-duty shipping sack for fertilizer because that’s polyethylene going into a polyethylene application. If the materials are multilayer laminates of flexible packaging that contain multiple polymers, then those materials probably won’t be used in film applications because the physical properties are reduced when you use multiple materials together, even if you compatibilize them. I’m talking about truly incompatible materials here, such as a complex lamination containing PET, nylon, EVOH [ethylene vinyl alcohol], polyethylene and several tie layer materials. If the materials can be compatibilized, then they can be used. Polyethylene and EVOH, for example, can be compatibilized with a compatibilizer. And they can be used in what would otherwise be an all-polyethylene application. So you could take that combination and put it into a shipping sack, a merchandise bag, a grocery bag, a mattress bag, or a newspaper bag. Most kinds of polyethylene films that contain recycled content, or could contain recycled content, can use simple multilayer structures that can be compatibilized. But if you look at a more complicated structure—like a lamination that’s PET laminated to metallized PET laminated to a barrier film laminated to a sealant film—those types of structures are not going to be mechanically recycled back into films any time in the near future, I don’t think. Do you think an increase in recycled content being used in some applications of flexible packaging…do you see that as important to help drive further flexible packaging recycling? Wooster: I don’t think it’s necessary to have the use of recycled materials be in flexible packaging specifically. I do think it’s necessary to have the use of recycled materials in some applications that can drive enough volume to grow the demand part of it. Let’s say, for example, some company decides to make plastic pallets with recycled films and they need more recycled films to be able to make the number of pallets that they have orders for. That will drive collection and recycling of the films that are used as the feedstock to make the pallets. Collected flexible packaging doesn’t have to go into new flexible packaging application to drive demand. It can go into any application. But you want to find an application where specifically flexible packaging is useful. So the composition of materials, the melt flow and other characteristics of the polymers needs to be right—you have to find an application where that’s useful for the end-use requirements to drive the demand that will then help to generate the supply and make the whole system work. It’s a complex system that will take some coordination, but I believe there’s a lot of opportunity ahead.